American lawyer and journalist; born in 1845, at Fürth, Bavaria, where he was educated. 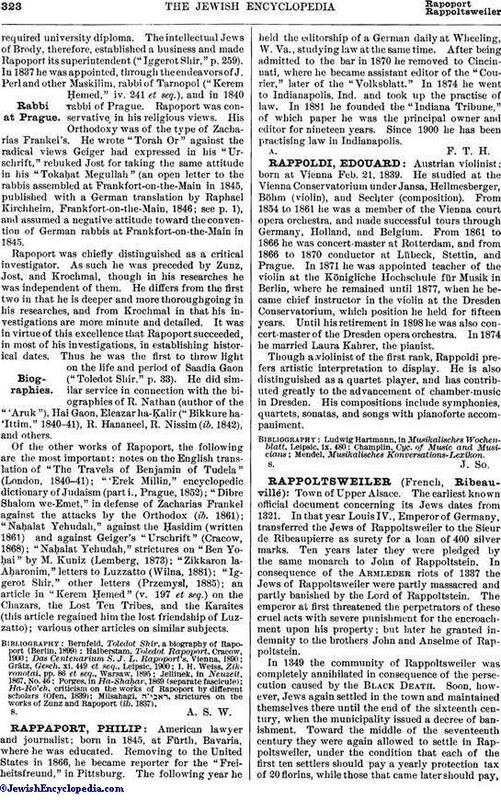 Removing to the United States in 1866, he became reporter for the "Freiheitsfreund," in Pittsburg. The following year he held the editorship of a German daily at Wheeling, W. Va., studying law at the same time. After being admitted to the bar in 1870 he removed to Cincinnati, where he became assistant editor of the "Courier," later of the "Volksblatt." In 1874 he went to Indianapolis, Ind. and took up the practise of law. In 1881 he founded the "Indiana Tribune," of which paper he was the principal owner and editor for nineteen years. Since 1900 he has been practising law in Indianapolis.